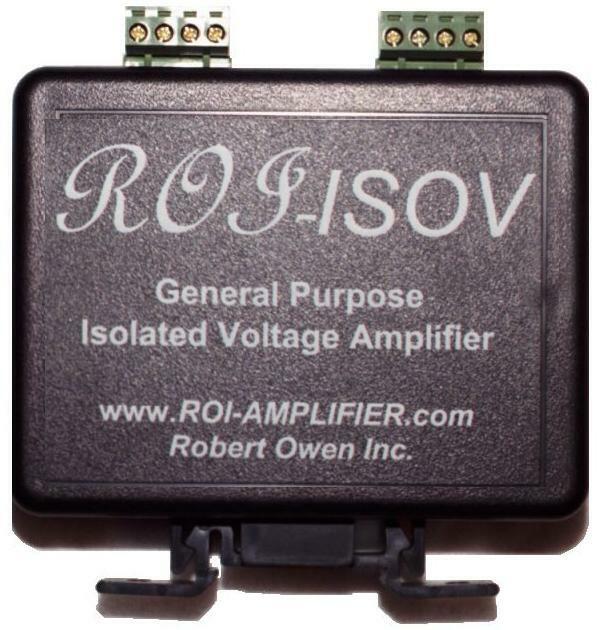 10Vdc 50KHz isolation amplifier signal isolator - Robert Owen Inc. The ROI-ISOV10 is a simple to use isolated signal conditioner. Input and output sections powered by separate supplies, galvanic isolation accomplished via capacitive barrier. 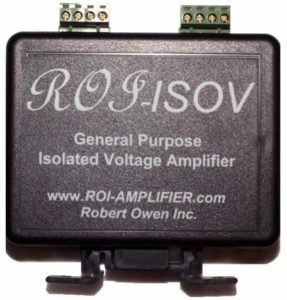 The ROI-ISOV10 is a general purpose 10V bipolar +/-15V powered 2 way isolation amplifier. It allows simple isolation to be added to a measurement, for ground loop elimination or voltage seperation.